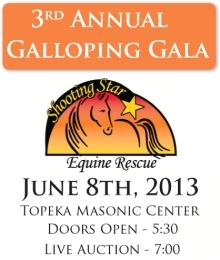 Shooting Star Equine Rescue, Inc. | Located in Wakarusa, Kansas. Established in 2002. 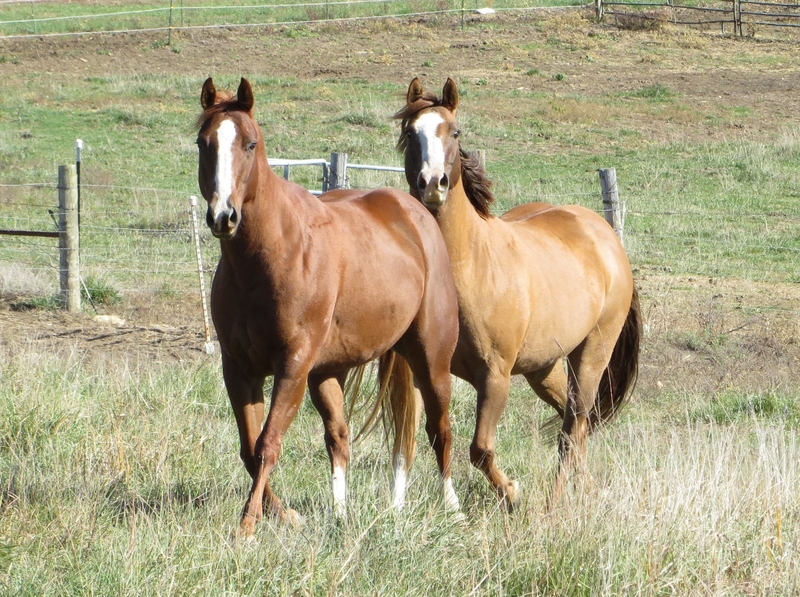 Shooting Star Equine Rescue is committed to caring for equines that come to us due to abuse, neglect or abandonment as well as for those at risk of imminent slaughter. Loving care is given to meet each equine’s need for proper medical treatment, individual nutritional needs and daily handling in an effort to provide the rehabilitation necessary in order to eventually place them in an approved placement home. 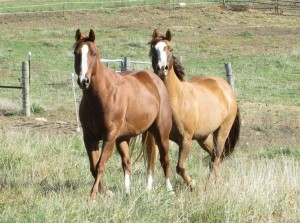 Several current residents that are quite elderly or who have come in with extensive needs now call Shooting Star their “forever home” as sanctuary residents. Shooting Star also works with other Midwest rescues, providing rescue to rescue transfers when necessary in order to respond to the needs of equines in need of immediate placement. Cooperate with other professionals and rescues in an effort to provide pamphlets, literature, and training regarding equine needs and standards for appropriate care and owner responsibility. Network with key individuals to better define and enforce policies and procedures regarding equine abuse/neglect as it relates to state statutes on animal cruelty. Provide facts and statistics on the harsh realities of our equines being brutally slaughtered in MX or Canada to be shipped for human consumption in Europe and Japan. All services provided by Shooting Star are funded entirely by gifts and donations. As an IRS-designated 501(c)(3) public charity, all contributions are tax deductible.